About to cut a patient for multiple foreign bodies? Does surgery make you tachycardiac? 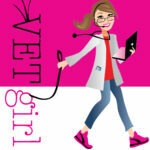 Join us for a 2-hour VETgirl online veterinary webinar, where Dr. Steve Mehler, DACVS, reviews “a surgeon's guide to abdominal surgery.” In this lecture, Dr. Mehler will review general approach to the abdomen, the types of suture and closing patterns used for the abdomen, and review common procedures including gastrotomy, cystotomy, and enterotomy. Tune in to brush up on your surgical skills and learn some tips to make you a better surgeon! This was very informative! I greatly enjoyed the webinar. Thank you! I am unable to watch this video on my iPad due to “privacy settings”. Can this be adjusted? The video recording has been tested and working. Please make sure you are logged in, as this is for ELITE members online and your iOs is updated accordingly. But you want to watch this webinar for CE credit?